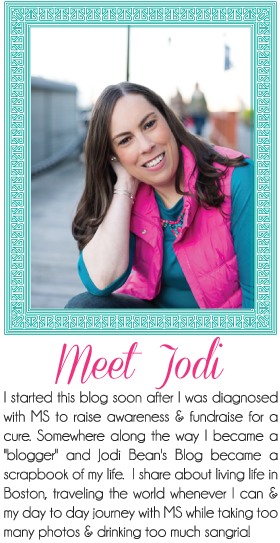 I wrote this blog post as a guest post for my friend Abby. She published it a week or so ago so I thought I would share it on my blog now too! Abby is a fashion blogger so I wrote a fashion post just for her! I don't typically do fashion posts but decided to do one in honor of Abby since she does such great ones. I always look forward to seeing how she puts outfits together! I don't know about you but I want to be comfortable especially in summer when it is hot and humid. I don't think there is anything more comfortable then a maxi dress (well besides pj's but I can't wear those out in public)! 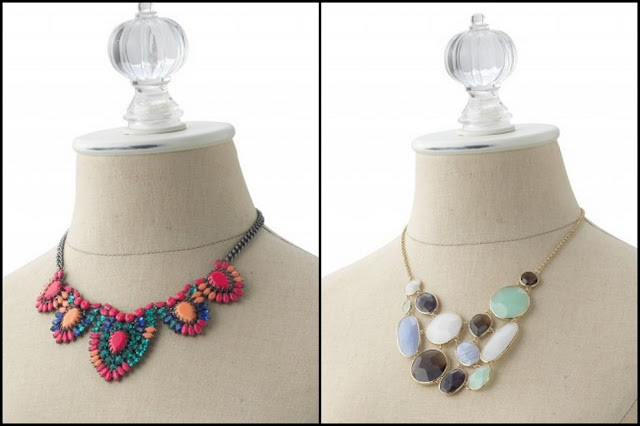 My favorite summer look is to pair a gorgeous statement necklace with a comfy maxi dress. I love that you can make the look work for so many different situations. I bought all three of these dresses this summer. I've had to refrain from buying many more. How many maxi dresses does one girl need!? I think I could justify one or two more if I see a good sale. 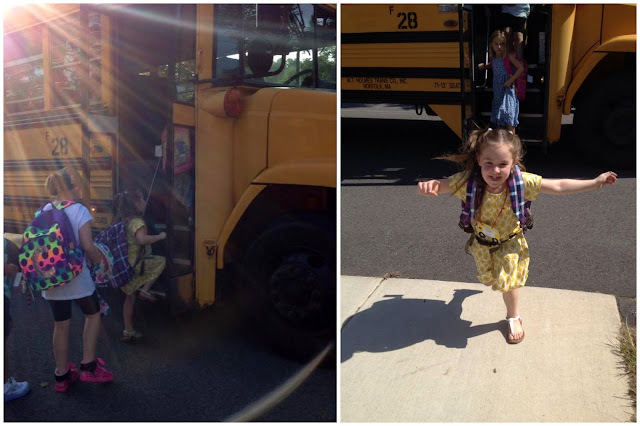 Ella, my other niece, had her first day of school today. 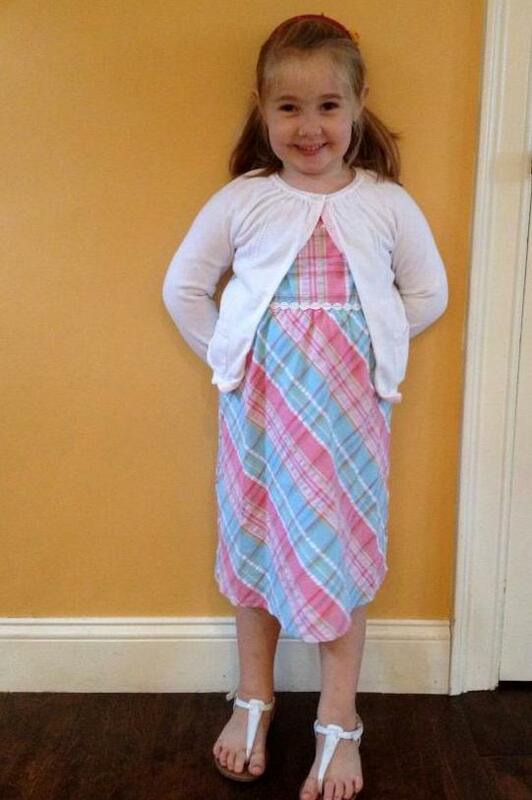 This is her 2nd year of pre-school. She goes three days a week! I figured since I shared about Peyton's first day yesterday I should share about Ella's too. I was cleaning pictures off my iPhone and I realized that I take A LOT of "necklace selfies." Ha! 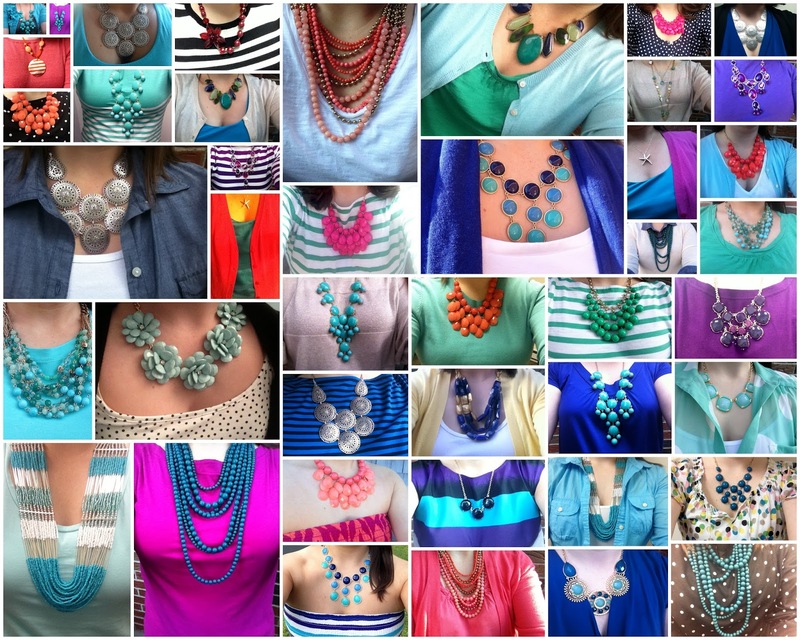 This isn't even close to all of my necklaces but it is a good sampling! Statement necklaces are by far my favorite accessory! Speaking of necklaces I asked your advice when I was "shopping" for my free Stella and Dot items that I earned from my online party/fundraiser (blog post about that coming next week). I love both of these - they are so different that I would love both but way too much money. I ended up going w/ the one on the left. I love it and it is $70 cheaper than the one on the right so it just made more sense. I'll be sharing the other things I got next week. I've been doing a dairy free diet since Monday (with only one slip up). 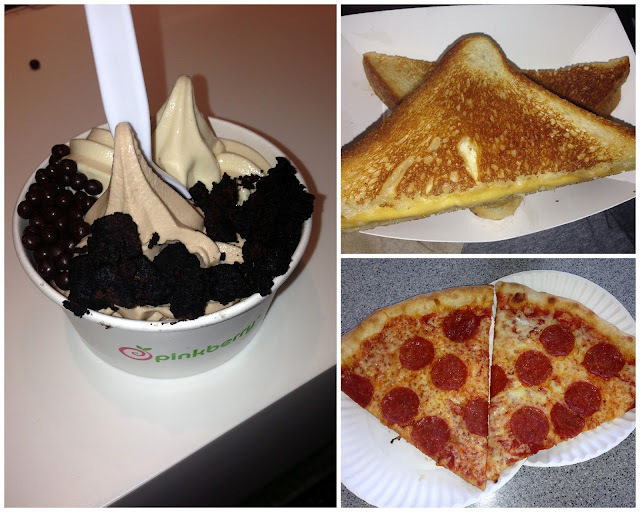 Over the weekend I ate my favorite dairy food - grilled cheese, pizza and pinkberry froyo! Yum! If I do end up staying dairy free I'll sure miss these things. Right now I'm just doing a 2 week food trial. My doctor wanted to see if it help some issues I'm having. . . we shall see. I can't believe the MS Challenge Walk is NEXT weekend!!!!! I walked 10 miles last Sunday and 5 miles last night. I plan to do a couple walks this weekend and then hopefully I'll be ready! But the reason for the sad face in the picture above is b/c while on my 10 mile walk I lost $20 cash that I had brought with me to use at St. Anthony's Feast in the North End. It is a festival with tons of yummy food and they take cash only. So I walked all the way there and then had no money to buy anything. I was really mad. It must have been a sign that I didn't need to eat unhealthy foods! Ha! I hope everyone has a wonderful Labor Day weekend. I'll be on the Cape savoring up the last bit of summer!!!!! I must admit I'm not a big fan of this time of year. I'm still trying to hold on to every last second of summer. But for some it is very exciting because they are going back to school. I do enjoy seeing everyone's pictures posted on Facebook and their blogs so thought I would share some of my own. Since I don't have children of my own I can be a proud auntie and share about my niece Peyton. 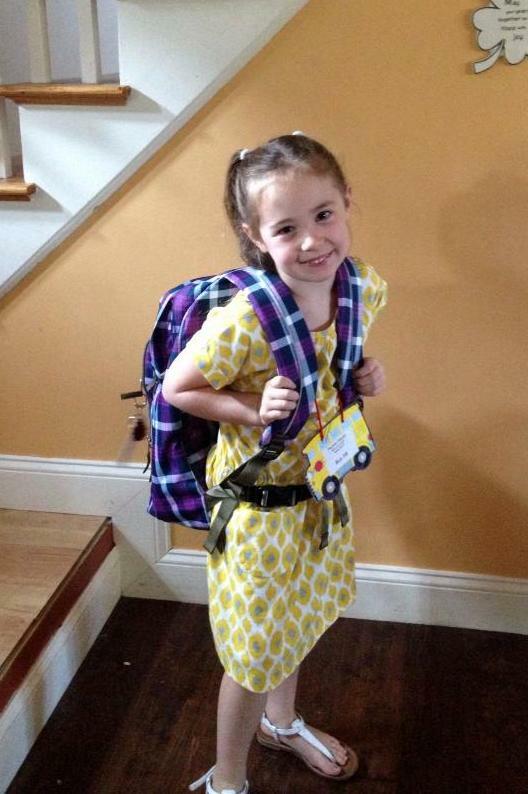 This cutie started kindergarten yesterday! I don't even know how it is possible that she is old enough to be in school. . . This is the before and after! Ha! She seemed pretty happy to go to school and to come home. No tears (well unless you count her mom's)! 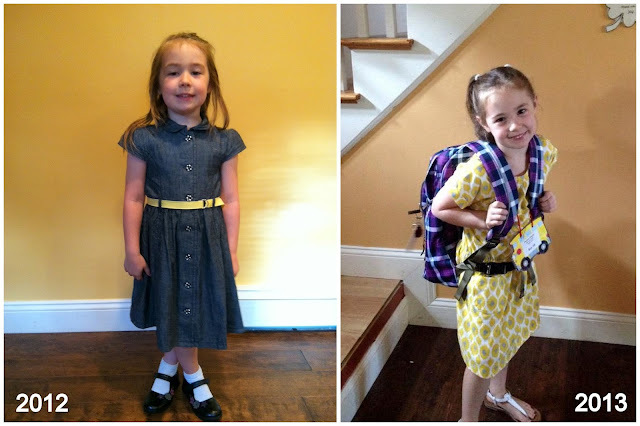 Here is a comparison of last year's first day to this year's. I can't believe how much older she looks! Peyton and Ella tried out their new backpacks. I'm not really sure what they have in but looks like they could pack enough stuff for a week! Peyton is quite the gymnast these days. My parents took them to the trampolines on the Cape the other day and Peyton was showing off her best split jump. I love the pony tails flying in the air! TGIF! I'm looking forward to the long weekend and then my short three day work week. Then it is MS Challenge Walk time!!!!!! Whoever invented "restaurant week" is a genius! It is such a great way to try new restaurants that are a bit more expensive at a discounted rate. I'm so glad my friend Ilka emailed Missy and I the other day to organize. Last night we went to EVOO in Cambridge and had an awesome meal. I seriously can't stop thinking about it! In case you haven't figured it out by now I LOVE sangria. As in I'm obsessed with it and pretty much anytime it is on a menu I order it. This martini was SO good! My food was delicious. I really liked both my first course and main course. Ilka and Missy's food looked delicious too. I should have taken pictures but they already thought I was crazy for taking pictures of my food. Haha! Ok but now about this dessert. . . do you see this dessert?! It has toasted marshmallow around the amazing chocolate cake. Is was quite possibly one of the top 3 best desserts I've ever had. It was so good. OMG! That dessert was worth the trip alone. Restaurant week is still going on so get yourself over to EVOO to try for yourself. The restaurant is really nice and the service was excellent. The tables are spaced out nicely so you don't feel like you are sitting on top of the people next to you. There is validated parking in the garage below the restaurant so it only cost $3 which in Boston/Cambridge is an awesome deal!!! Have you been to EVOO? What restaurants have your tried during restaurant week? Last night I went to a Boston Bloggers event at The Sinclair in Cambridge. I've been to several events now and it is always fun to meet new bloggers and to catch up with others I've met in the past. I had never been to The Sinclair before. It was a cool space. I had the most delicious Blood Orange Sangria. Most of you know my LOVE for sangria and this did not disappoint! Yum! Alison and Kate always make us the cutest name tags and blog "directory." Before the crowds arrive. . . Always great to see Georgina. I love her green dress. Great color! Courtney, who I've met before, is recently back from a month long cross country trip. It was great catching up with her and hearing more about her adventure. I can't wait to read more about it on her blog! I also got to meet a few other wonderful ladies who I didn't get a picture with this time. I think we need an official photographer at our events to take all the pictures b/c we are all too busy talking! Last week I got together with a few lovely bloggers to toast Abby before she set off on her cross country journey to move to San Diego. We enjoyed some delicious sangria (of course) at Tory Row also in Cambridge! I met Abby at the very first Boston Blogger event I went to! We were both so nervous and talked most of the night. I'm going to miss her but now I have someone else to visit when I go to CA! We had such a nice time talking and laughing! Abby is currently driving cross country with her boyfriend and his father and soon she will be in sunny SoCal. Follow her blog to read more about her adventure! 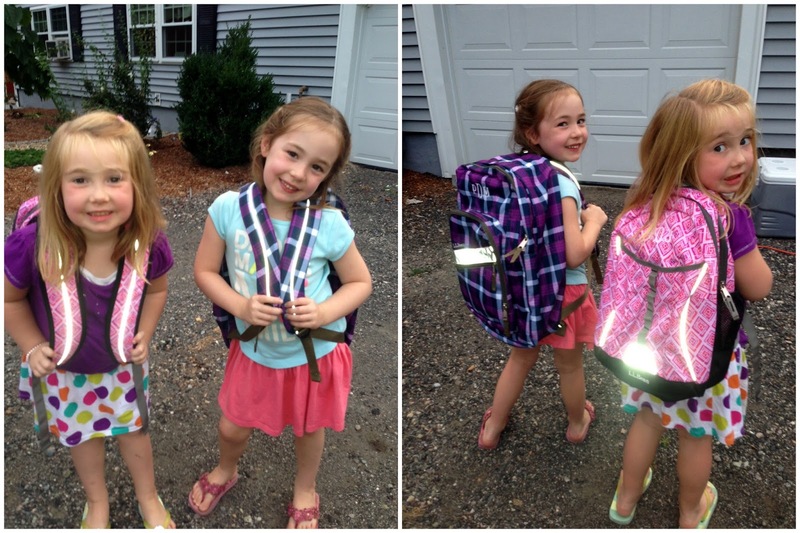 Never in a million years did I think I would meet such great girls when I started this blog. Blogging is such a fun hobby for me and I'm so grateful for the friendships, inspiration, support and social events!! Boston Bloggers is now on twitter and instagram so follow along @BosBloggers and you can also find tweets and IG pics by search for #BostonBloggers. I had a relatively "quiet" weekend. I stayed home! No Cape Cod. No New Hampshire. Just Boston! And guess what? It was a GREAT weekend! I already blogged about our MS Fundraiser at The Paint Bar so if you missed that be sure to check it out here. On Saturday I set out for a training walk. I took the T downtown and walked home. My motivation was to see pretty sights which would help my walk go faster! Walking through the Boston Common and Public Gardens is always a favorite! I also wanted to see #CoolGlobes which are on display in Boston right now. 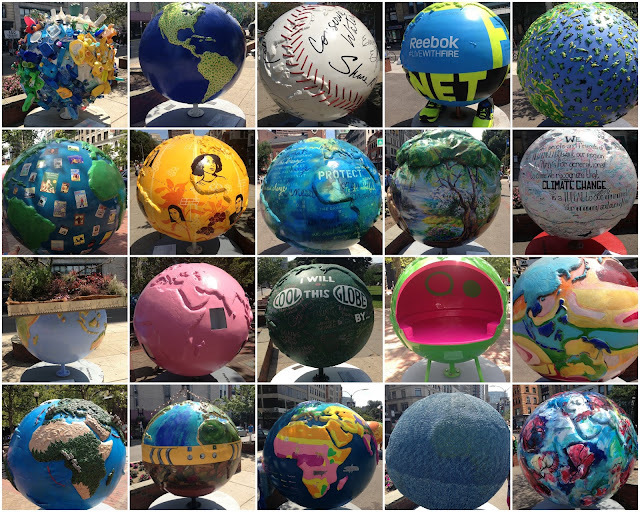 Think Cows on Parade but instead of cows it's globes! They are very cool and I enjoyed checking them out. 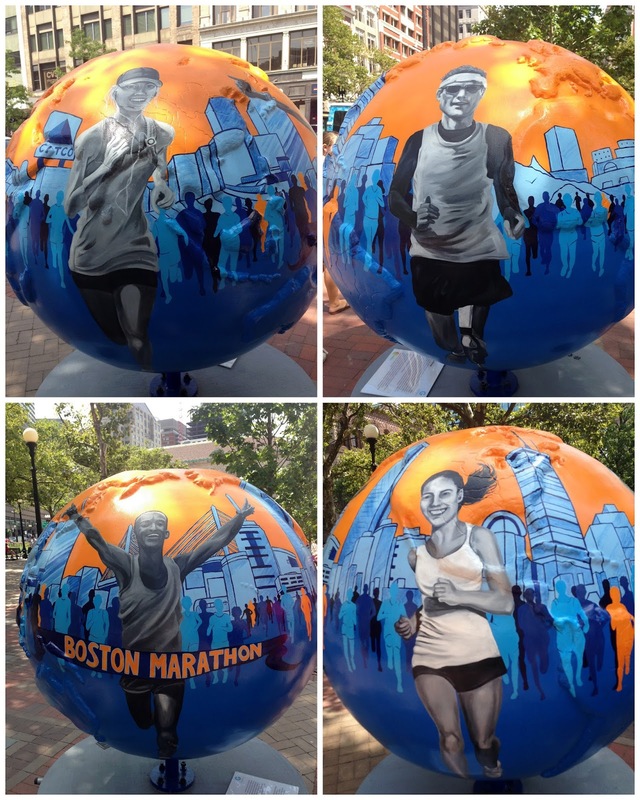 This one, in honor of the Boston Marathon, is beautiful! I love what it represents! The Forum which is where the second bomb went off finally reopened Friday night! I looked at pictures online and it is gorgeous! Check it out! I then made my way to the Charles River and walked the rest of the way home with beautiful views of Boston! I walked 8 miles and felt great! On Sunday I met up with my friend Michelle. She is due next week with her first baby and I can't wait to meet him or her! We had an amazing buffet brunch atThe Foundry. It is only $15 and SO good! So many delicious options. I'll be back for sure! I did a few other things but was a bad blogger and forgot to take pics!! Overall I had a great weekend in Boston! Don't forget about my Stella and Dot fundraiser. 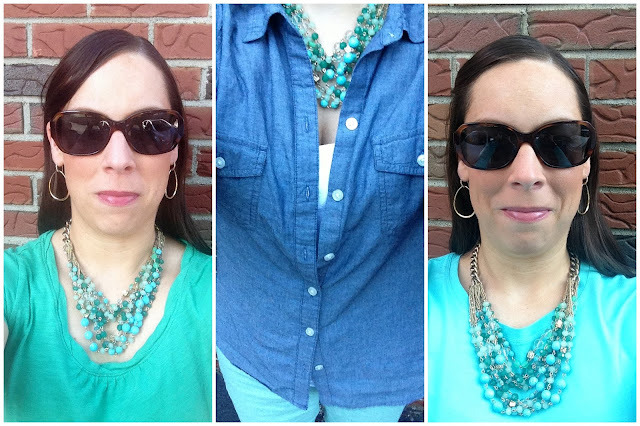 . .
One necklace worn three ways! I've had a few people comment to me that Stella and Dot stuff is too expensive. I'll agree that many of the items are a bit pricey but it is worth it. Their stuff is unique and beautiful. I worn this necklace with three different outfits and it looked so pretty with each one. It is a little hard to tell in my iPhone selfies but left: kelly green shirt, center: chambray shirt/white tank/mint shorts, right: mint top. So while this necklace might be considered expensive it is something that can be worn with SO many different things. I can't wait to find something else in my closet to pair it with! My Stella and Dot ONLINE party is open until Aug 26th. This is my last fundraiser before the MS Challenge Walk and I need to raise as much as possible. So shop away! Here is the link. On Friday night Jenn and I hosted a MS fundraiser at The Paint Bar for the 2nd year in a row (read about last year's event here). 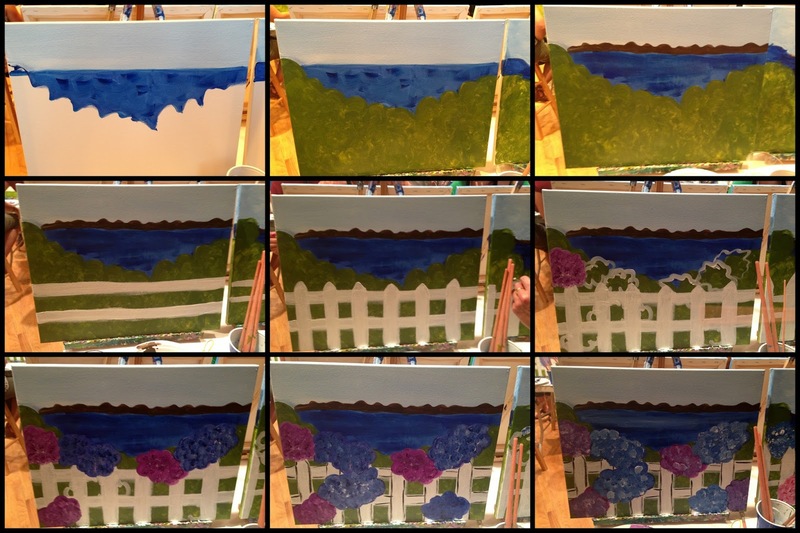 We had several enthusiastic family members and friends show their support by joining us to paint "Cape Hydrangeas." We chose this painting since we are raising money for our 50 mile walk on Cape Cod and because we love it! In case you don't know how these places work. . . you basically paint a painting step-by-step as the teacher instructs you and demonstrates. Oh and you drink while doing it which makes your painting look much better! Jenn and I are in the final countdown to the MS Challenge Walk (3 weeks). We will be busy training hard and raising the rest of the money necessary to participate! My cousin-in-law Meghan (right) and her sister Leigh Ann had signed up to walk with Jenn and I but then Meghan had to go and get pregnant! Ha! She had Callen a month ago and this was her first night out! Woo hoo! Oh and they both said they would be walking next year!!! Jenn's birthday is on Wed so we made sure to embarrass her by letting the owners know. Jenn got to wear this very special birthday hat! This is our whole group! There were other people there too that weren't part of our fundraiser. I love how everyone's paintings come out a little different but still all look awesome (especially considering none of us are artists)! Here is a look at "the process." I always forget to take a picture of every single step but here is most of them. You can get an idea of how it comes along. The teacher, Juliane was awesome and did such a good job of taking us through the steps. At the end of the night Jill, the owner, presented Jenn and I each with a check for $100. Jill has been such a big supporter and we are so appreciative! We love going to The Paint Bar and even better that we can raise money for MS while having fun. If you live in the area I HIGHLY recommend going to The Paint Bar. It is such a fun thing to do with a group of friends! They have two locations. We went to the one in Newton but there is now a 2nd location in Boston on Newbury Street! If you would like to make a donation to my MS Challenge Walk fundraising you can do it here.